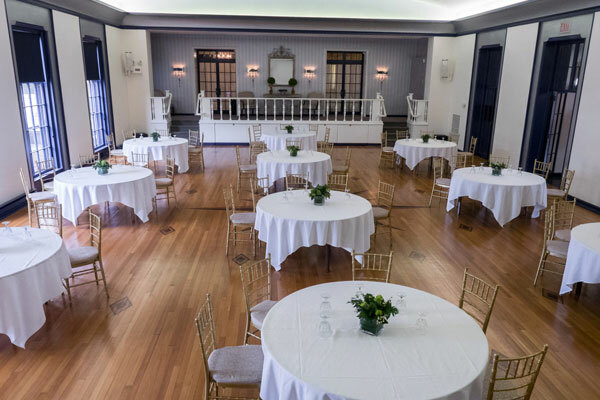 Our classic 1930's Ballroom features an authentic ballet sprung dancefloor and a center facing stage perfect for a head table or entertainment. Floor to ceiling windows compliment the room with a picturesque view of our beautiful lawn and gardens. The ballroom can accommodate 150 guests for dinner or 250 for a standing reception. The Art Gallery is located on the second floor of the house. This room showcases the work of a featured artist on a rotating schedule. Large window offer natural lighting and an open floor plan allows for flexible event space. The Art Gallery can accommodate 50-75 guests dependent on set up. 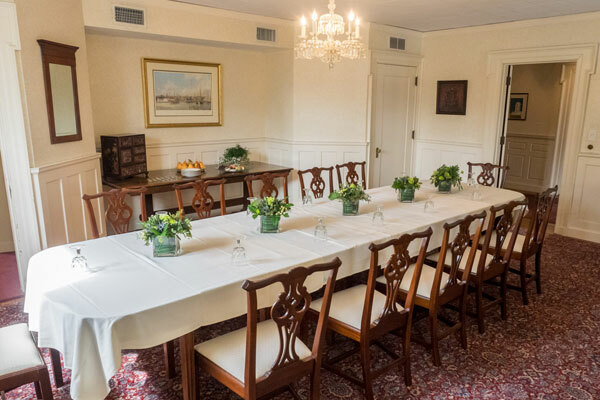 The residential feel of the Board Room is a perfect setting for a private dinner or meeting. This space can accommodate up to 18 guests at the existing dining room table or the table can be removed opening up the space for a small reception or presentation for 20 guests. 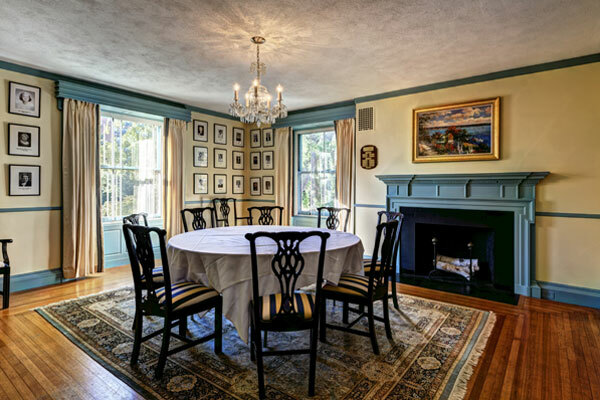 The Woodland Overlook room is the ideal setting for an intimate gathering or meeting. 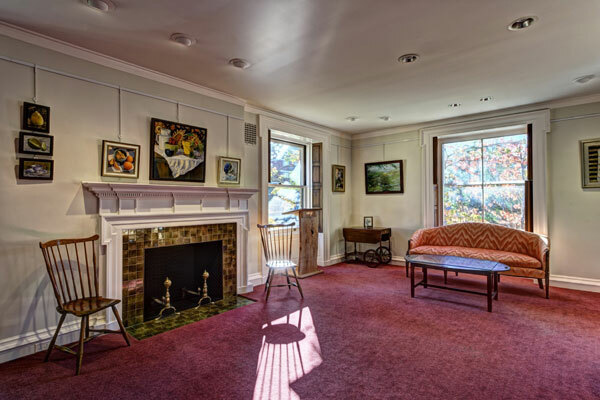 This second floor room is located in the house rotunda offering a unique feel and view of the front lawn. 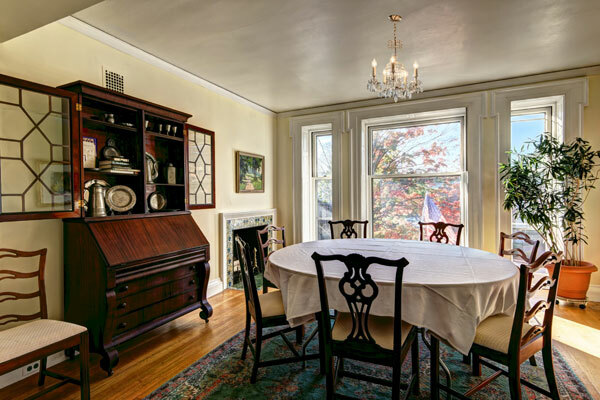 This room can accommodate up to 16 guests. The Presidents Room preserves the history of the Club showcasing the photos of past Club Presidents. The intimate space is an inviting location for groups of 14 or less.